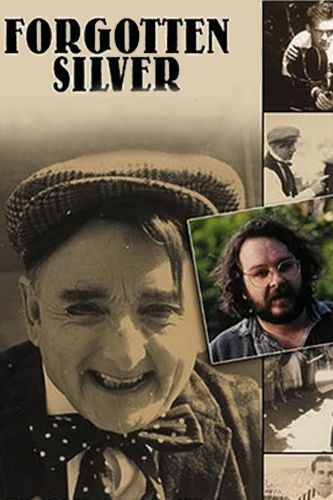 When Forgotten Silver was first shown on New Zealand television, it sparked a minor scandal when some viewers discovered that the film's protagonist, pioneering Kiwi filmmaker Colin McKenzie, didn't really exist, leading some wags to denounce director Peter Jackson as the perpetrator of a fraud, which speaks volumes about just how well executed a satire Forgotten Silver is -- it's one of the most accomplished mock documentaries ever made, flawlessly re-creating "long lost" bits of silent cinema as well as offering a superbly deadpan spoof of television documentaries. While Peter Jackson's oddball humor provided a welcome subtext in horror films like Brain Dead and The Frighteners, here his sly wit is brought to the forefront, and if Forgotten Silver never clearly presents itself as a joke, in many ways that just makes it more potent as it bears the ring of possible truth. Jackson and co-director Costa Botes are also ably assisted by their crew (especially cameraman Alun Bollinger, who is asked to emulate nearly 80 years of cinematography technique and never misses a trick) and the cast (the actors in the silent segments capture the broad histrionics of D.W. Griffith-era filmmaking with commendable accuracy, and the contemporary interview subjects hit their marks just right). Forgotten Silver is crafted with so much attention to detail that it takes a fairly committed film buff to see through the surface and catch all the jokes, but anyone who loves movies will delight in it -- and if you take it at face value, it's still a fascinating story about a truly remarkable man.